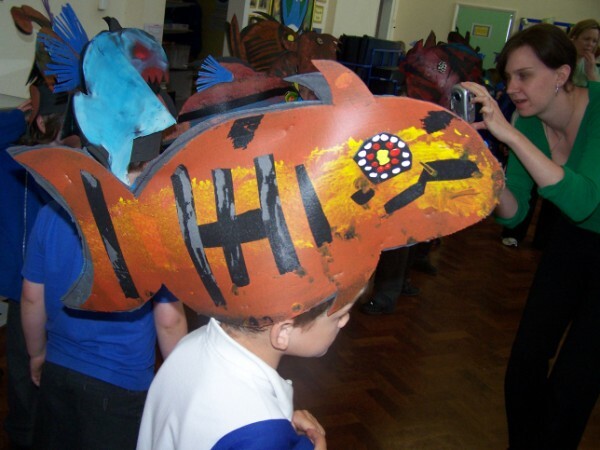 Carnival project for the 2009 Deal Carnival hosted by DES- Dover Extended Schools Consortium. 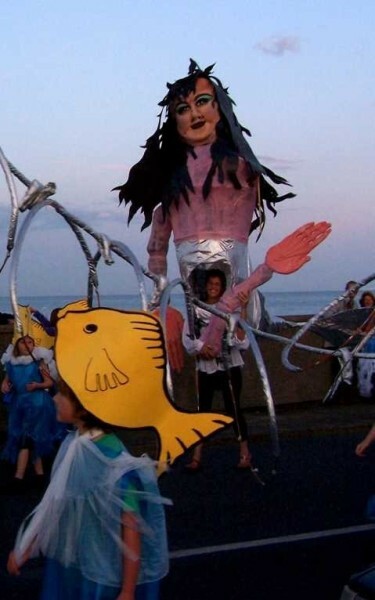 The carnival float was a great success, winning First prize in the July 30th Carnival. 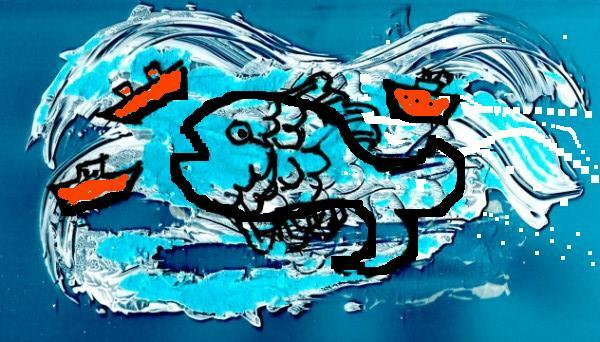 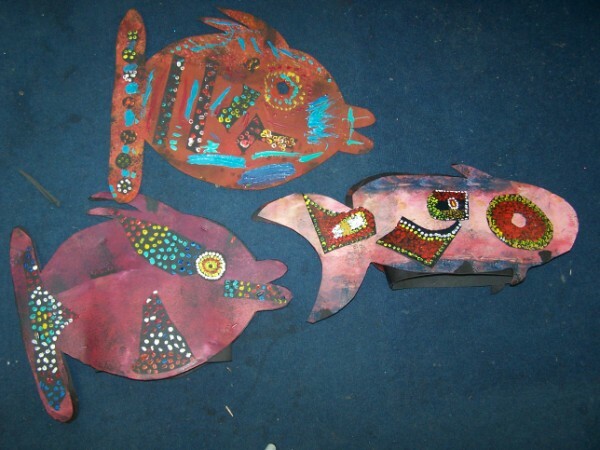 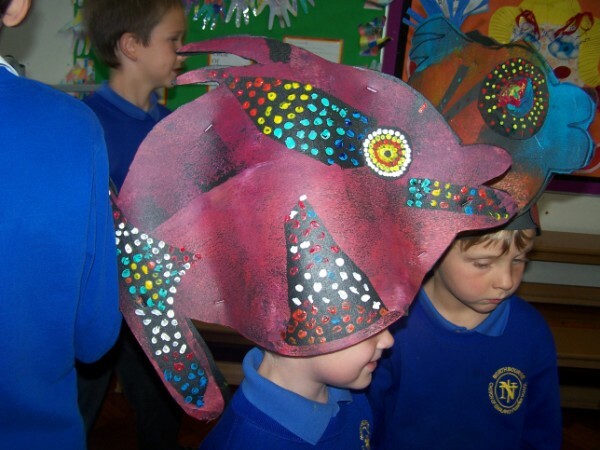 A huge fish float hosting a schools samba band with Bob Martin, Julia Baxter and Nick Harrington's drummers created an unmissable beat, with a 3metre giant mermaid in hot persuit with costumed children provided by Els Van Hoof of Parochial School. 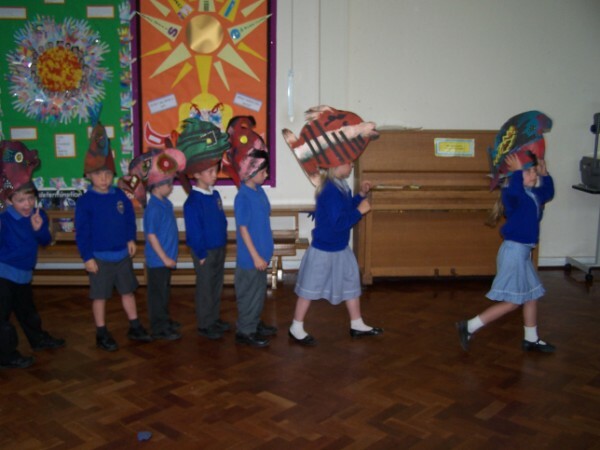 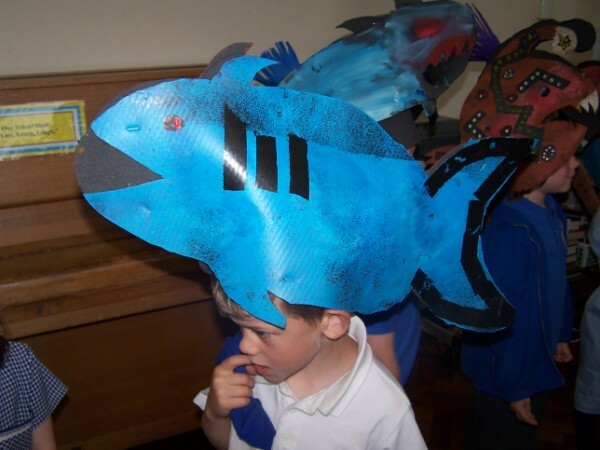 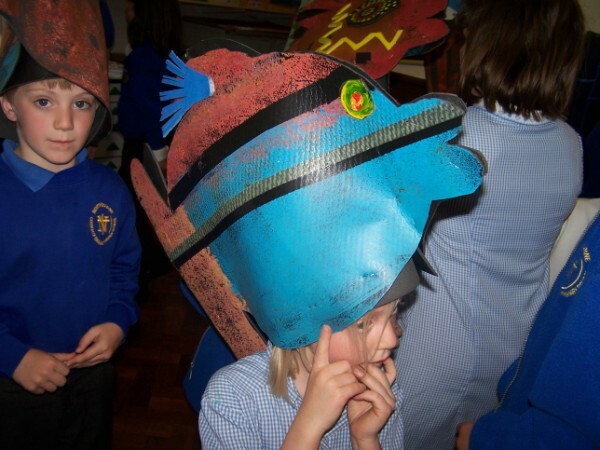 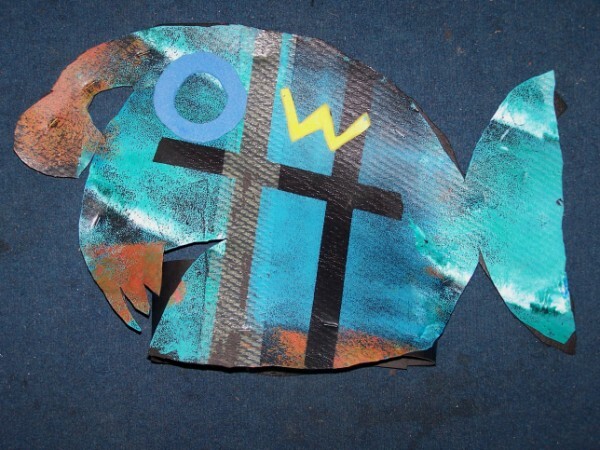 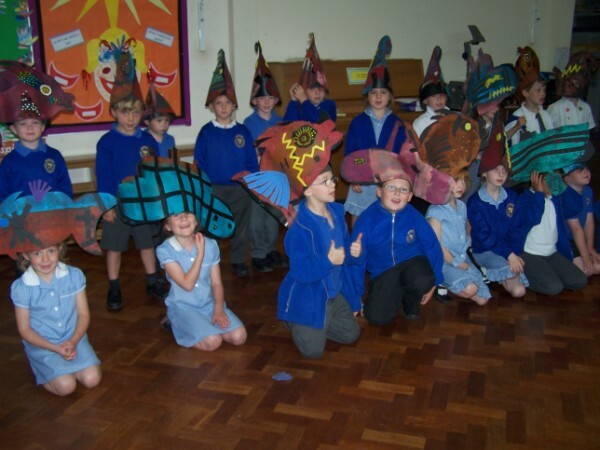 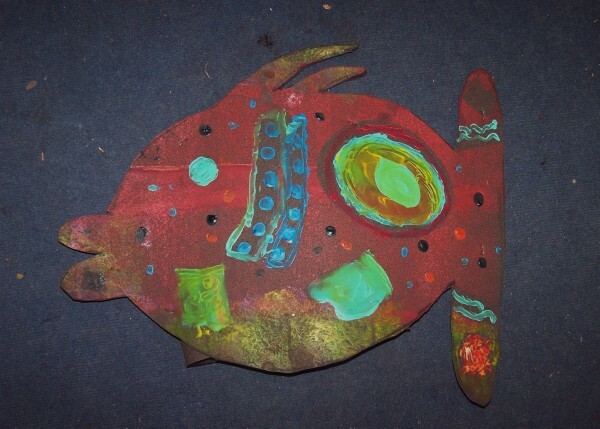 Below are some of the hats provided for the carnival by school children in Northbourne School, the Downs School, and Parochial School in Deal, in workshops led by Penny Bearman.